According to Dr. Darnall, “The cognitive and emotional responses to opioid limitations may require treatment in their own right”. Guest Blogger, Dr. Beth Darnall, a renowned Clinical Psychologist specializing in biopsychosocial aspects of pain management, shares her insight on various corollaries facing patients that live (or should I say, survive) with persistent pain. Her input is especially timely as efforts are made to bridge the gap among professionals specializing in behavior health and those practicing pain management. In politics and in the public eye, the issue of chronic pain has been overshadowed by the opioid prescribing ‘epidemic’  and solutions focused on limiting access to opioids. Patient blogs and posts, from patients, including just one example from this site, lament the limited access to opioids and are left feeling punished for the addictive and medication-abuse behaviors of recreational user. People are left wondering how to live with unmanaged pain. I have worked exclusively as a pain psychologist for more than 10 years, so was entrenched in the field when patients had relatively easy access to opioids. Opioids were no panacea. For some they helped, for the vast majority they maybe “took the edge off”, and for most there were negative side effects. Sometimes the side effects made things worse for people. Often the side effects required other medications to deal with the ‘new symptoms’ (i.e., iatrogenic consequences of opioids). Eventually, most people would realize that opioids only helped a bit and that other efforts were required to manage pain, and often that included other non-opioid medications. In short, the question of how to manage pain with limited opioids—or no opioids– is not new, but new opioid restrictions have brought it directly to the forefront of the conversation. And it’s a conversation that is relevant to an increasing number of people. A consequence of the current political / medical climate is that patients denied opioids may perceive a degree of injustice in their pain care. Despite data showing that long-term use of opioids is often unhelpful [2-18]—people may say that they personally derived benefit from opioid therapy, and therefore feel they are being unjustifiably lumped in with patients who responded poorly. The experience of perceived injustice is an important part of the equation. Across studies perceived injustice is associated with greater pain and worse outcomes [19-24]. Perceived injustice about opioids can be a triple whammy that works against patients: (1) it keeps the conversation focused on medications rather than on other treatment options; (2) can increase feelings of hopelessness and helplessness, both of which are known to worsen pain; and (3) is associated with worse pain and outcomes. Feelings of injustice may leave patients less likely to fully engage in behavioral treatment options, and the only way these methods work is with full engagement. It can be a self-fulfilling prophecy that undermines these non-pharmacologic treatment options, thus leading to greater perception of injustice. We must extend the conversation beyond opioids or no opioids. We cannot take opioids away from people without giving them something else to replace them. I have helped many people taper off opioids by developing an individualized plan that involved pain education, pain psychology techniques, a very slow taper schedule and specific and tailored behavioral goals to keep their pain levels as low as possible through the taper and beyond . Here’s the catch though: In order for this type of a plan to work, two things must happen: (1) a person must want to taper or optimize non-opioid pain care. Not everyone does, especially when they feel things are being ‘taken away’ from them and they are being forced into a different treatment pathway. (2) A person must be dedicated to working the plan on a daily basis. Implementing a plan once or for a short duration of time is unlikely to lead to measurable differences. Success requires desire, focus, and dedication. If a physician prescribes a medication, such as an antidepressant, she is likely to tell you that in 4-6 weeks the effects of the medication will be evident. It’s helpful to view a psychobehavioral pain plan in a similar light—results accumulate over time, and the fruits of a person’s daily labor will evidence themselves in the weeks that unfold. For people with chronic pain, an underappreciated problem may be an experience of front-end loss of control within the context of opioids and pain care–coupled with a belief that treatment is being unjustifiably withheld. Given that opioid restrictions are unlikely to go away any time soon, looking beyond them is essential. Some people with chronic pain may understandably have anger, indignation, and perceptions of injustice at the state of affairs with pain care and lack of access to opioids. While such feelings are valid and understandable, they may be serving to worsen one’s pain and outcomes. Given this, specific intervention for the emotional consequences of opioid restrictions and legislation may be beneficial and requisite to enable a person to fully engage in behavioral care, and to optimize response to other pain treatments. In short, the getting better without opioids may depend on moving past the injustice. Patients with chronic pain now face yet another challenge: moving past the injustice of life without opioids in order to ensure their own best outcomes. While this challenge ascribes additional burden to patients and clearly is not fair, self-empowerment lies in transcending perceptions of injustice. 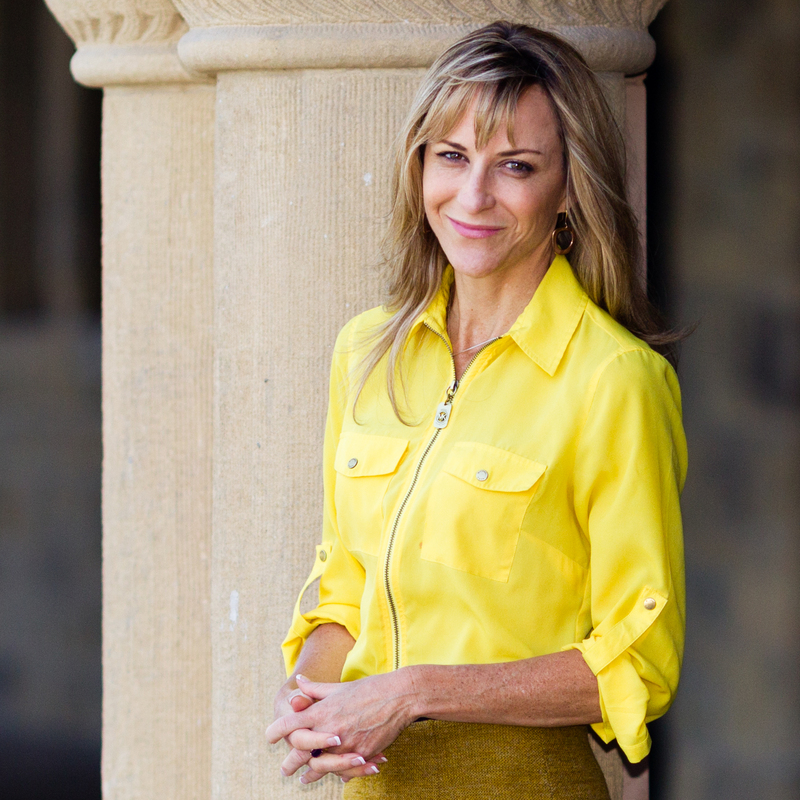 Beth Darnall, PhD is Clinical Associate Professor in the Division of Pain Medicine at Stanford University. Dr. Darnall is author of Less Pain, Fewer Pills: Avoid the dangers of prescription opioids and gain control over chronic pain(c) 2014 Bull Publishing. She is a columnist for Psychology Today and the National Pain Report, is a section editor for Pain Medicine, and is former president of the Pain Society of Oregon. More information may be found here: www.bethdarnall.com. 1. Manchikanti, L., et al., Opioid epidemic in the United States. Pain Physician, 2012. 15(3 Suppl): p. ES9-ES38. 2. Campbell, C.I., et al., Age and gender trends in long-term opioid analgesic use for noncancer pain. Am J Public Health, 2010. 100(12): p. 2541-7. 3. Crisostomo, R.A., et al., Withdrawal of analgesic medication for chronic low-back pain patients: improvement in outcomes of multidisciplinary rehabilitation regardless of surgical history. Am J Phys Med Rehabil, 2008. 87(7): p. 527-36. 4. Crofford, L.J., Adverse effects of chronic opioid therapy for chronic musculoskeletal pain. Nat Rev Rheumatol, 2010. 6(4): p. 191-7. 5. Daniell, H.W., Opioid endocrinopathy in women consuming prescribed sustained-action opioids for control of nonmalignant pain. J Pain, 2008. 9(1): p. 28-36. 6. Daniell, H.W., Hypogonadism in men consuming sustained-action oral opioids. J Pain, 2002. 3(5): p. 377-84. 7. Dersh, J., et al., Prescription opioid dependence is associated with poorer outcomes in disabling spinal disorders. Spine (Phila Pa 1976), 2008. 33(20): p. 2219-27. 8. Dimsdale, J.E., et al., The effect of opioids on sleep architecture. J Clin Sleep Med, 2007. 3(1): p. 33-6. 9. Furlan, A.D., et al., Opioids for chronic noncancer pain: a meta-analysis of effectiveness and side effects. Cmaj, 2006. 174(11): p. 1589-94. 10. Grady, D., S.A. Berkowitz, and M.H. Katz, Opioids for chronic pain. Archives of Internal Medicine, 2011. 171(16): p. 1426-7. 11. Guilleminault, C., et al., Obstructive sleep apnea and chronic opioid use. Lung, 2010. 188(6): p. 459-68. 12. Kobus, A.M., et al., Correlates of higher-dose opioid medication use for low back pain in primary care. J Pain, 2012. 13(11): p. 1131-8. 13. Korff, M.V., et al., De facto long-term opioid therapy for noncancer pain. Clin J Pain, 2008. 24(6): p. 521-7. 14. Saper, J.R. and A.E. Lake, 3rd, Continuous opioid therapy (COT) is rarely advisable for refractory chronic daily headache: limited efficacy, risks, and proposed guidelines. Headache, 2008. 48(6): p. 838-49. 15. Sullivan, M.D., et al., Trends in use of opioids for non-cancer pain conditions 2000-2005 in commercial and Medicaid insurance plans: the TROUP study. Pain, 2008. 138(2): p. 440-9. 16. Tuteja, A.K., et al., Opioid-induced bowel disorders and narcotic bowel syndrome in patients with chronic non-cancer pain. Neurogastroenterol Motil, 2010. 22(4): p. 424-30, e96. 17. Vorobeychik, Y., et al., Improved opioid analgesic effect following opioid dose reduction. [Erratum appears in Pain Med. 2008 Nov;9(8):1228]. Pain Medicine, 2008. 9(6): p. 724-7. 18. Vuong, C., et al., The effects of opioids and opioid analogs on animal and human endocrine systems. Endocr Rev, 2010. 31(1): p. 98-132. 19. Ferrari, R., A prospective study of perceived injustice in whiplash victims and its relationship to recovery. Clin Rheumatol, 2014. 20. Ferrari, R. and A.S. Russell, Perceived injustice in fibromyalgia and rheumatoid arthritis. Clin Rheumatol, 2014. 21. Rodero, B., et al., Perceived injustice in fibromyalgia: psychometric characteristics of the Injustice Experience Questionnaire and relationship with pain catastrophising and pain acceptance. J Psychosom Res, 2012. 73(2): p. 86-91. 22. Scott, W., et al., Anger differentially mediates the relationship between perceived injustice and chronic pain outcomes. Pain, 2013. 154(9): p. 1691-8. 23. Sullivan, M.J., W. Scott, and Z. Trost, Perceived injustice: a risk factor for problematic pain outcomes. Clin J Pain, 2012. 28(6): p. 484-8. 24. Sullivan, M.J., et al., Pain, perceived injustice and the persistence of post-traumatic stress symptoms during the course of rehabilitation for whiplash injuries. Pain, 2009. 145(3): p. 325-31. 25. Darnall, B.D., Less Pain, Fewer Pills: Avoid the dangers of prescription opioids and gain control over chronic pain. 2014, Boulder, CO: Bull Publishing. As a paid spokesperson for Endo, many of us wonder whose side are you on. A walking contradiction of sorts. You promote buprenorphine as a pain killer and accept the new status quo of making pain patients second guess themselves. Whose side are you on, Fudin??? I am not affiliated with Endo nor a I a paid spokesperson for them. I am not any any “side” except to present facts where available. If you have a specific question, I’m happy to answer it. Maybe we should expand Dr Darnall’s theory to most all other chronic disease states… that test that your blood pressure, cholesterol, blood sugar and other testings is just a “perception” of how your body is functioning – or malfunctioning – outside of what is considered a normal range. IMO, one basic principle that Dr Darnall’s thought process ignores.. is that we are all individuals and will respond differently to various types of therapy. Ideally, multidisciplinary approach is ideal for most all patients, but personal time and financial restraints prohibit every pts from doing such. In the mean while, we need to provide as much pain relief to each pt.. based on what works for the individual. As a society, what other chronic disease state(s) do we as a society discourage adequate therapy .. or in fact.. encourage inadequate therapy. A pet peeve of mine in this whole opioids or no opioids debate has been that there are no end to specialists such as yourself who like to speak for legitimate patients especially about how little benefit opioids are to the in the long run. They focus on functionality, hyperalgesia, addiction, the list goes on ad nauseum. Problem is, nobody, other than Dr Fudin and a few others, have a space such as this fine blog for US to get OUR voices out there and be heard. I have quite a bit of benefit from opioid, specifically methadone in conjuction w/ other adjuvant meds w/out the need for 1mg of dose increase in almost 4 yrs now (1-10mg 4x day). It is very well tolerated and despite stories such as Gupta’s recent feature w/ a drooling woman who subsequently ODs and a prominent pain doctor described as Dr Death, I DONT GET HIGH, not the slightest bit. I believe that most everyone would be extremely surprised IF I were to tell them I take powerful NARCOTICS on a daily basis. I don’t as there is no cause just saying they would IF I did. My perception and reality is that opioids have increased my functionality quite a bit and do more than ‘take the edge off’. They almost me to keep up a household that would literally fall apart w/out them. Despite a VAST difference of ‘perception’ I DO believe that there is some common ground that we share. I believe that opioids should never be viewed as the be all end all of pain treatment and should be reserved until other non-opioid treatments have been tried w/ limited or no success. While advocating for legitimate patients continued access to opioid medications I freely admit that they are not the whole answer to our present problem. I myself benefit from many non-opioid approaches to treating my chronic pain. These include use of a TENS, adjuvant meds like amitriptyline, carisoprodol, Lidoderm patches, EMLA cream. Use of occipital nerve blocks, Euflexxa injects (knee), Depo-medrol injects for rotator cuff/chronic bursitis in both shoulders, exercise, PT, dietary modifications, talk therapy w/ a psychiatrist, and ANYTHING else that helps to alleviate the pain in my life to a degree that allows me to be a somewhat functioning member of society which was NOT the case before entering pain management. Patients who are open to many avenues of treatment? What a concept. We are pictured as fiends who will throw a fit if denied our drugs of choice, evil opiates. The problem folks like you have is in having the ‘perception’ that most of US, just pop pills and expect them to take care of all our pain and are unwilling to go to any lengths. Sometimes this is a true observation but unfortunately we (that will try ANYTHING (except ESIs) to alleviate our pain) are all being lumped together if we happen to use opioids as part of our overall pain management program. I also realize that there are those who cannot afford to pay for these ‘extras’ due to strict insurance denials, no insurance, or just can’t keep up w/ the pace of the skyrocketing costs associated w/ the whole specialty of pain management practices in general these days. If I was not disabled and receiving support from my loving family I could not afford to have my pain treated w/ such a well rounded approach. Many clinics such as mine have instituted regular monthly UDTs, even to long time patients w/ NO RED FLAGS OR INFRACTIONS [4+yrs for me] which are not cheap. Add to this the doctor bill, outrageously high cost of opioids (we can open a whole other thread on how these meds went from dirt cheap to almost out of reach for most patients), cost of adjuvant meds and procedures and sometimes the ‘easy route’ of Percocet or Vicodin is the path of least resistance or the only path that is affordable. One must also factor in to the equation, it never is, that many with autoimmune disease face a long journey just to find a diagnosis, suffering for many years not only w/ no relief of their pain but often facing ridicule within the medical system when Drs are unable to come up w/ answers it usually falls back on the patient like its OUR FAULT, (in your head) and are treated as hypochondriacs or worse, DRUG SEEKERS, OMG!!! Then to find out what is wrong and finally receive some treatment, pain relief too if lucky enough to live in an area w/out an artificial opiate blockade like Kentucky, Mass, TN, or Washington state. THEN, have the rug pulled out from under them setting them back to square one again is unconscionable and cruel. (just my personal PERCEPTION) This can also apply to those w/ life altering injuries; those poor patients w/ multiple failed back surgeries, and other incurable unfixable problems who rely on pain medication just to make daily living somewhat livable. BUT my point here is that w/out treating pain w/ a comprehensive plan INCLUDING OPIOIDS as a mainstay (kind of like the foundation used upon beginning constructing of a new house), not a finished house but damn near impossible to move forward w/out it. W/out treating my pain in this manner I lose much of my function and quality of life. Why is this? Pain leads to sleep deprivation (which I struggle w/ even w/ proper pain management), anxiety, depression, higher blood pressure, and many other stressors such as immobility which all have one thing in common; they all contribute to worsening of my underlying conditions which are again, INCURABLE.. I tried sucking it up. I tried all non-NARCOTIC routes. I was blessed w/ a period of remission which lasted almost 5 years 2003-2008 @ which time I was tapered off 135mg MS Contin per day and wound up taking nothing more than an occasional aspirin during that entire time.. It was no walk in the park but somehow I resisted the temptation to become a drugstore cowboy or frequent open air drug markets in search of heroin. Patients like myself and many others who shared their stories recently on Dr Fudin’s blog deserve respect, not dismissal when bring up the issue of pain. Not retreating to the position of it being a taboo subject that just invites raised eyebrows and a stern lecture about the dangers of NARCOTICS. I am glad you have been able to help some people better their lives but to me you are nothing but an obstacle to passionate care and part of a much bigger problem in this country today. People w/ no empathy, concern, or personal experience to legitimize their PERCEPTIONS. I immediately started conjuring up mental images of Duck Dynasty, Daffy and Donald Duck and AFLAC commercials after reading your treatise. I don’t like being used to further the agenda of certain govt agencies such as the DEA who are under pressure to legimize their bloated budget at a time when the American public is sick of this war on people (drugs are inanimate objects, like guns, you cannot wage war upon them).as evidenced by recent legalization of pot for RECREATIONAL use. IF the people can vote for pot (I think its usefulness is overrated but what do I know) just to get high, why cannot we have our medication just to alleviate our suffering? POLITICS, GREED, AGENDAS, plain and simple as there is no rational explanation for denying the disabled their medications. I don’t know where to begin to congratulate you on your eloquent, reasoned, and stunning accurate portrayal of what it’s like to be a chronic pain patient with A DIAGNOSIS (or more) who just tries to survive and mostly has to wander through a maze of ineptness in the medical profession (best in the world- right) and have to deal with that (more often than appropriate) as adversarial. You speak as if you’re a physician or highly knowledeable healthcare provider. Well, to know you’re not alone, let’s try THIS. I AM a 28 year senior staff physician at a large hospital in TN. (pathologist). I can vouch for one of the worst overreaching states you mention and the fact that it has a republican governor (all republicans believe in stopping governmental overreach- right?. My wife is a Dermatologist, Mayo Clinic trained, who’s now on disability due to multiple documented chronic illnesses much as you say by highly competent caregivers at Vanderbilt- our ‘mecca’ of heathcare. Their diagnostic acumen is unquestioned (as is my wife’s and mine). I have severe psoriatic arthritis (21 years now) with some ‘requisite’ joint deformities, feet swollen from a size 12 my entire life (until age 39 that is) to now size 15. I have to walk all day on joints no one would want to look at much less walk on. And I’ve tried and ultimately failed all of the new biologic medications (mostly tnf-alpha blockers like Enbrel, Cimzia, Remicade, etc.) that gave me enough respite (in addition to hydrocodone prior to years of no diagnosis after a long search for a local internist who was not only compassionate but stunned at my operating capacity without it). For the first time in years I got some sleep and could return to some of my former excercise regimen I’m 6’3 and no wuss). Remember- we’re two physicians in high standing in our community and our story reads just like yours. If someone thinks because ‘we’re insiders’ and that gives us special treatment or access everyone should read yours and this one and be terrified at where this is all going and heaven help you should you be in Coonhound or our positions. Sorry to inform but DON’T DEVELOP A CHRONIC ILLNESS. That’s absurd of course and after all, this IS the USA, land of compassion and reason- right? Think again. And right now it may depend on where you live and if you’re getting good care and have caregivers that ignore most of the legislative nonsense good for you. But you better watch your back. Our tale again involves a two-physician couple with really nasty autoimmune issues, etc. and as a physician if you think anything Coonhound says isn’t dead accurate I’m here to tell you it is. My wife and I (both second marriages) have similarly followed our own regimens (again with some opiate pain control for me but for years my wife refused to take any and I couldn’t convince her it’d be ‘OK’ outside of NSAIDS or aspirin type equivalent) for years and again it’s the standard tale of years undiagnosed (and I had to deal with a 50-60 hour/week full-time hospital job as a diagnostic pathologist reading slides, working with oncologists, etc. etc. and have to operate at a 100% accuracy rate or something really bad happens to someone. I’ve NEVER had a lawsuit or complaint filed against me in my entire practice (now I’m forced to have to file for disability also). Similar story for my wife in an outpatient dermatologist setting with partners, etc. If anyone thinks this was easy for us go somewhere else. We’re both independent, exercise with pain, and go about our lives. Until……. I’d warned my wife in late ’13 (I like to keep my ears in the political winds) and warned her we were in for future trouble. The future came quickly. I have two relevant links as to how Tennessee went ‘wrong’ but the governor had this neato-keeno idea of ‘squashing’ the drug problem in TN reported in the Tennessean newspaper out of Nashville where he rules. There’s an preceeding article at the beginning of this year found by my disability attorney also relevant to the ‘ultimatum’ issued by the ‘gov. TN is a doctor run state with low liability premiums (state volunteer mutual insurance covers most M.D.’s and is a doctor owned company with me included). I was told in late May after a nasty disease flare-up by my internist that I WOULD be on medical leave for a month and then saw my rheumatologist at Vanderbilt who delivered the bad news (to me with my wife present)- I fought the good fight but now it’s over and you’ll not return to practice. Everyone grieves such in their own way but for me someone had to stop me and I was glad they did before my impeccable record wasn’t and I’d be grieving that. Then- BAM. My wife goes to get refills on our routine pain meds and can’t- what? Goes to our internist clinic to find out why and there’s a note at the receptionist window- our hospital system will no longer be in the business of chronic pain nor would it’s practicioners be seeking said certification. Huh? Suddenly we were out of our routine meds including the ‘naughty scheduled substances we’d been merrily and mostly successfully treated with in my case for FIFTEEN YEARS under appropriate supervision and now……..WHAT??? The game, participants here, is GO FISH. That’s correct. I won’t re-state our credentials but we had no choice but to seek out a ‘pain management doc’ and I know most everyone in town. I called a favor, chose a wildcard, and by the second visit am being told we’re drug abusers, apparently he’d found some discrepancies in our pain meds (with multiple providers and over 15 years I’m sure he did) but NEVER asked me to explain any of it or confront me with his suspicions. I’m NOT making this up. He KNEW who we both were. Doctors can be drug addicts- I wasn’t born yesterday- but NO DRUG ADDICT IS AS TRANSPARENT AS WE ARE. There was nothing hidden, I merrily peed in the cup (which I felt was in total violation of my civil liberties as I’m now joining the ranks of a group known as ‘the disabled’ and last time I checked I haven’t been charged with a crime….’till now apparently). So now we’ve canned him or he’s canned us but a relevant point here to those ‘unconvinced’ that there are people who use opioids to survive and do it well- after being informed of his suspicions and both she and I furious went home and realized there was a mistake in my scripts (some methadone added by a respected psychiatrist we’d been seeing in Nashville for years) was erroneously recorded lower (my wife fills out the paperwork) and I was out on the second visit when we were confronted). I completely forgot to say anything as I’d not slept the night before, sat in a chair for an hour+ before my ‘pain care guy’ hit me with the accusations, and needless to say I forgot to mention I was out of methadone and what he then scripted me for another month’s worth I’d be in withdrawal for about a week before Walgreens could refill it. By the way, that psychiatrist and pain doctor in Nashville retired THE SAME MONTH and we couldn’t get a recommendation for anyone else to see. Also, the staff was supposed to check my pill bottles that day but didn’t. My wife called his office (sans my beseeching her not to and that I’d live and she’d only make things worse) and it did- she was told by his nurse I could ‘tuff it out’. We were never given what’s quaintly known as ‘an action plan’ for circumstances like this. After the abuse of my wife on the phone that night I told her to give me his methadone script and shredded it and I’ve been in abrupt methadone withdrawal for just over 2.5 weeks now and, according to her, am made of something she’s never seen before as normally this requires a hospital admission. Good thing I’m on medical leave and have no addictive personality traits and never have nor does she. We now have to find a new provider in this same area, we have, and we’re at it again and will see how it goes. Mind you- WE’RE WELL RESPECTED HIGHLY TRAINED PHYSICIANS and got $(*&-canned and accused. If this can happen to us it can happen to anyone anywhere and someone better wake up real fast. If anyone’s been reading this closely I’m not the quiet type nor is my wife and we both took an oath as physicians to provide the highest quality care for patients even before we became such and if we, with ‘connections’, are now helpless everyone with chronic pain and successful opioid TX to relieve their pain better be worried. Despite what are illegalities in appropriate transfer of care issues, etc. it appears to be illegal under multiple statues of the Americans With Disabilities Act and we’re pursuing. If a guy and his wife can get canned in Washington State by the feds for their supposedly state ‘legal’ pot patch (see this past week’s TIME magazine) because it’s still illegal under federal law then we want to know why TN can pull this over-reaching stunt (the hospital did what they did due to the governor’s edict). No one is wanting to touch chronic pain patients (in certain areas) with a 50 foot pole- why? Doctors are being scrutinized to be law enforcement officers- not doctors. I hold no malice toward the guy who put me in methadone withdrawal- not the worst thing in my life. But I have to wonder as an ‘insider’- what morons (the gov and doctor panel he convened to do this) thought that outpatient pain guys, often ex-anesthesiologists who choose to inject joints and other simple lucrative practices not involving chronic pain (maybe)- now somehow have the ‘chops’ to know and understand what we both have being treated by guys much smarter than he is and in some respects I feel sorry for them but not for what we consider an unprofessional attitude (I’ll leave it nice). Our rheumatologist and others like him, when seeing patients from out-of-town on an infrequent basis doing his ‘thing’ for our long term management, can’t be prescribing our monthly meds with a multi-hour painful drive. It just doesn’t work. I’m a guy who reads Sky and Telescope (built my own telescope in high school), Scientific American (30 years now), etc. etc. and what we were subject to is called simple ‘confirmation bias’. They’re primarily now ‘cops’ and look for something to ‘confirm’ their bias and will always find something. They don’t look for non-confirming evidence like when I didn’t get a script refilled- only one instance of ‘double dosing from two providers’ and BAM! GOTCHA! This is insane to say the least and my wife and I will be contacting the appropriate legal outlets to remedy this until it’s undone. It’s frankly absurd and there have to be better ways to protect the ones ‘playing by the rules’ (which many articles say are the majority- so why the overreach and all the fuss- and not be treated as criminals. Why don’t we just eliminate wheelchair ramps as I’m sure someone’s tripped over one. This is a ‘simple’ example of the minority being abused by the majority. The laws are clunky, misguided, and I haven’t even mentioned the numerous highly religious physicians who think opioids are ‘immoral’- you don’t think physicians are influenced by their culture bias?. If not you’re misinformed or part of the problem. If there’s no legitimate use for these drugs why reschedule them and not just eliminate them for everyone outside of an inpatient setting? Why do short term pain patients get better treatment than us outside of an inherent bigotry against chronic pain issues? Where are the statistics on how these draconian policies wiil prevent drug addiction- like the well established association of state drug problems with poverty- is the governor going to end that?’ Nuff said and Coonhound got it exactly correct- kudos from us. I do not like your crock of scheme you are cooking up!!! Dr. Beth Dummal!! You are putting on airs to help you be on a pedestal and be above the chronic pain patients’ experiences so that you do not have to get your hands dirty. To ensure that your hands always show an appearance of cleanliness, you have to steer us away by calling our experiences with pain “perceptions”, and to ensure that our Chronic Pain Brain swings into agreement of your selfish agenda you make sure they are altered by Anti-depressants. I so hate it when doctors have an agenda that they are trying to acheive at the expense of the suffering! For many of us, opioids are the only thing that helps. Yes, there are risks, but all treatments have risks. I’ve gone off my opioids three times, every time was hell (not just the withdrawal, but the uncontrolled pain) and every time I was reminded how necessary they are. The use of opioids, or any other treatment, should be between the doctor and the patient. If I’m willing to accept continuous constipation (the most common ongoing side effect of chronic opioid therapy) and I benefit greatly from opioids, then who is anyone else to judge the benefits & risks of my opioid therapy? My intractable pain isn’t just “perceived”, it controlled every aspect of my life until my doctors realized that physical therapy, physical therapy, and dozens of non-opioids simply weren’t enough and I needed opioid therapy. Like a diabetic who doesn’t make enough insulin, I don’t make enough endorphins to handle the amount of pain that I experience and my body needs a little extra help. Thank you Dr. Darnell, for your eloquent explanation of what we see every day. Practitioners do feel patients’ pain, over and over and over again, on a daily basis for the length of a career. It is a huge emotional burden and causes a great deal of burn out, but we undertake it because it is our calling. Neuroscience agrees with Dr. Darnell – our “experience” is exactly about how our brain perceives incoming stimuli (painful or not). This is what makes everyone’s experience unique to them, right? We see it all the time with surgery. It could be the same surgery for 20 different patients and every one of them will have a different “experience”. Pain is a deeply personal thing, but that is how our “perception” works in the brain. The problem is that, while pain medications (including non-opioids) oftentimes alter our experience of the pain, they (and again, I refer to all analgesics) rarely help people be more functional (as has been shown in many studies). On the other hand, ALL pain medications carry real risk, including opioids Dr. Murphy. Please be current on pain and pharmacologic science. There are so many better ways to help people be more functional. As a pain management pharmacist, I cannot tell you how many patients come to me with a long list of medications that really don’t help. The key is to reduce toxicity and open doors to let patients see all of the options, including the ones that require alot of hard work like physical rehab (because that is what keeps people functional) and coping skills (to empower them to move forward and control the effect that pain has on their lives). This is not the easy road, but it is the most effective one (please see the studies supporting them). In addition to being a pain practitioner and pharmacist, I am also a chronic pain sufferer. I will not let it change WHO I am, or WHAT I can do. I refuse to let pain define me – I will not give it that kind of power. THIS is what Dr. Darnell and her colleagues can help with. We need more support for everyone with chronic illness, because sometimes coping wtih day-to-day living is really tough. These amazing psychologists teach empowerment. The power to move past the pain is in all of us, we just have to find it, every day. Thank you for your insightful and personal perspective here. FYI, this “commentary” was just released on PainWeek‘s Daily dose by Dr. Darnall, Pain Psychologist Surveys Opioid and Nonopioid Alternatives for Chronic Pain. As a physician highly trained in literature research and culling ‘nonsense’ articles I’m stunned at the logical fallacies here- so an ‘anecdote’ a random poster provides suddenly proves a rule or some amazing insight into complex problems involving large numbers of people? So you pick the ‘insights’ to confirm your bias and that makes it so? In the lab we quaintly call it ‘cherry picking data’ and if you want to pick out some subset of patients (which I think or hope is what you’re trying to do with the pharmacist’s remarks) that’s fine only so long as they’re very restrictive and you define the terms in which you intend to apply them. 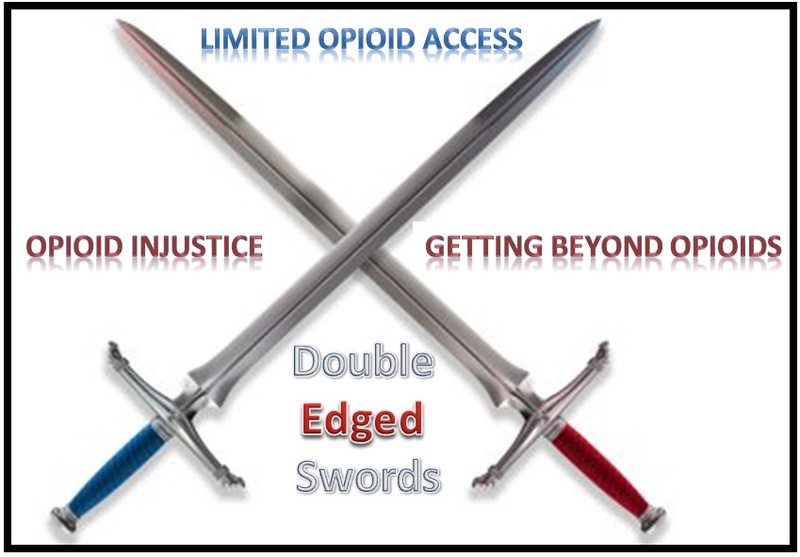 One person’s own contradictory comments and incorrect assessment of the current data on appropriate opioid pain control and the again ‘anecdotal’ personal experience with whatever they have or works for them cannot be extrapolated onto another large group of people and is a statement that is meaningless. I find it stunning one would say everyone is different and then say something (opioids) don’t work for anyone as some blanket comment the data (or our own personal experiences with these meds and we count too) does not support and in educated circles would be dismissed as nonsense. BTW, my wife and I do all the ‘other’ recommendations also yet require these to have any quality of life and now they’re being taken away from our internist in our own hospital system without the special ‘pain certification’ he’s being denied. He’s seen us for decades and appropriately treated and monitored all of it. Now everyone on long-term opioid TX gets to pee in a cup monthly for drug testing (in TN now anyway) and that’s going to just increase healthcare costs and will certainly ‘solve the problem’. Any pharmacist worth his salt should know that VIRTUALLY ALL medications have potential serious risks involved in taking them not narrowly restricted to this new ‘attention fad’ and, in fact, can kill you (however appropriately prescribed) and why some are monitored with liver function tests, etc. The notion that practioners as a rule ‘feel patient’s pain’ is utter nonsense unless you get lucky and find the right providers. In our area it just ‘ain’t so. Glad you people live in some magical place we haven’t found yet (or have conditions we’d consider not so bad and you’re lucky). Ignorance isn’t always bliss. Please do better. “We must extend the conversation beyond opioids or no opioids. We cannot take opioids away from people without giving them something else to replace them.” This is a theme I’ve been using, pretty much universally, in my interactions with policymakers over the past couple of years. I’ve been telling those policymakers that they need to do their part to make that “something else” available to people with pain–and that means educating healthcare providers about the appropriate use of non-opioid treatments, how to evaluate patients in order to select the right treatments, providing training opportunities and appropriate licensure to professionals outside the traditional medical fields, and, most of all, taking whatever steps are necessary to get those other treatments adequately reimbursed. Providers have a huge role to play in getting individual patients into the right treatment regimens, but policymakers need to support them in doing that, too. “Given this, specific intervention for the emotional consequences of opioid restrictions and legislation may be beneficial and requisite to enable a person to fully engage in behavioral care, and to optimize response to other pain treatments.” Boy, I wonder how THIS would go over in a state legislature or regulatory agency! Can you imagine walking into a legislator’s office and saying, “Senator, do you realize that your efforts to restrict access to opioids are causing people to need psychotherapy?” I think it’s true, but I can’t imagine it being accepted in those circles! Thank you for a very thought-provoking piece! Can I volunteer to walk into a legislator’s office and say, “Senator, do you realize that your efforts to restrict access to opioids are causing people to need psychotherapy?” Or maybe I can just be a fly on the wall. Dr. Darnall has provoked some reactions in response to her article. First, by the time I finished reading I was sorely convicted of my own overuse of the word “perceive” when discussing other people’s situations – but never my own. The truth is that I never “perceive” my own pain or illness; I experience it. And the degree to which it closes me out of experiencing the bigger picture at any given time can only be measured in terms of how demanding of my entire body and mind that experience is – in its reality. There are things like surgery without anesthesia, the death of one’s only child, the unfair and unexpected rejection by a loved one – I could go on and on. These are not experiences one “perceives.” Nor are they experiences one “gets past.” You don’t see them, and you can’t see a bigger picture around them. You can only go through them. For too many, of us, there is no way past, and we may be constantly going through, but if we are lucky enough to have a caregiver who “experiences” and acknowledges the impossibility of our being able to experience much beyond the reality of our pain, we may be able at some point to accept their ability to provide at least some physical or emotional relief and give us the space within which we might begin to function again. We may still experience the pain – both physically and emotionally – but we were more likely to respond to the caregiver’s “perception” of us as patients. Like students in a classroom, many people either live up to, or down to, the perceptions and expectations of the teacher/caregiver. (This is supported by a huge body of education research, by the way.) I have read many, many articles and case studies in the past year about chronic and acute pain and how it is perceived, experienced, or treated. There is a definite pattern: Caregivers like Dr. Murphy, who experiences his patients as human beings whose very real experience of pain and loss of function is something that he is not only clinically able to help with, but emotionally capable of empathizing with, and who expects that those who seek his help want to reclaim some function in their daily lives, seem more likely to have significantly higher success rates. I cite Dr. Murphy, not just from his reply here but from having had the fortunate experience of being his patient, and of sharing information with some of his other patients. Those caregivers who perceive that their patients/clients are “allowing” pain to rule their lives, and who need merely to “take control and get past it” either have lower expectations of their patients, or are being blocked by some inability to accept and share the pain of others – invariably, these will complain of low success rates with chronic pain patients regardless of the diagnosis, or the chosen method of treatment. Like all experiences and observations, these are my own and I accept that they are not universal. Like Dr. Darnal’s post, they still may be something to think about. Marylee, you raise excellent points. I wholeheartedly agree that an empathic clinician is much more likely to help patients achieve successful outcomes. A talented clinician can validate a person and create safe space for a softening or shift in emotions and perspective that allows for internal transformation. Dr. Murphy sounds talented indeed. I worked for my Pain Specialist for 8 years after he finally got my chronic pain under control back in 2001. So many doctors just passed me to the next doctor and nothing was accomplished, this doctor showed me compassion working with me for 3 months finding my level of pain relief after suffering for 10 years. My Pain Specialist from 2001 thru 2010 was Dr. Joel Hochman, then unfortunately we lost him to kidney cancer. I had to close down our website called ” The National Foundation for the Treatment of Pain”. We where the first website of its kind back in 2001 to actually advocate directly for people suffering in chronic intractable pain. I moderated this website and advocated for those in chronic pain. I vetted pain sufferers that called me or emailed me looking for help for the chronic pain they suffered from and I enjoyed advocating for those in chronic pain placing them with a doctor . I had special way of making sure these pain sufferers truly suffered by reading their radiology report of a MRI or other test . Or simply speaking with them on the phone and seeing the way they emailed me. People looking for drugs only where too quick to ask for a phone number and I just didn’t do things that way. During the 8 years I advocated for people in chronic pain only one guy got over on me. The work I did I was never paid a dime, I felt I owed to others after my doctor gave me my life back. This was my way of giving back to others that where lost in pain and lost in the system like I once was. Time passes, things change and I’ve grown use to my chronic pain, at first I just wanted the ongoing pain to stop and I kept seeking out surgery in 1998 to correct this problem in my cervical spine. I saw 3 different surgeons at the Medical Center here in Houston, Texas and all of them said we cant help you ,the disc in your cervical spine are too far gone. But I kept on seeking help, I was in chronic pain and that got old fast,one of the surgeons saw me again about 6 months later and he pulled me aside and said if you keep seeking out surgery one day a doctor will cut on you and you will regret it for the rest of your life. This is when I was sent to pain management and found pain relief from aggressive opioid therapy. But this madness over getting one script of opioids filled has become so out of control I had to step back and take a look at my life after 18 years passed. I’ve decided its time to titrate off this pain medication and I’m almost there. Two more weeks and I will be done . Did these long lasting pain meds help me, yes they did at a certain point in my life when all this began , I was in really bad chronic pain and didn’t know what to do, I didn’t know how to move forward. I lost my job and company car all in one day after 23 years with this company I worked for. This changed my life and I lost lots of things. Now its time for a change and I’m finding I’m able to deal with my chronic pain pretty darn good as I titrate down. These medications can be a psychological thing thinking if I don’t get them my life will fall apart. My Pain Specialist asked me something at my last appointment, he said do you really want to be on this opioid medication the rest of your life and something just clicked , NO , I don’t want to be on this stuff the rest of my life. I’ve learned the basic ways to get by without this pain medication, I just have to keep my hands and mind busy at all times. I will have chronic pain no matter what, but its time for a change things have become ,,, I don’t know the word to use,,, OLD and DOUBTFUL now that pharmacies cant fill a legit/ on time/ medically necessary opioid script. Then its time to move forward and forget about these medications, it will make my life a lot more pleasant. This does not mean my chronic pain has gone away, its still there , I just need to do this for myself and do without this medication. Much love for all chronic pain sufferers,,,,,, keep moving forward. I really like this article, but I’m having difficulty with concept of “perceived” injustice. I am a pain specialist and a prescriber. For the vast majority of my patients, opioids do far more than “take the edge off” – and with few negative side effects. Their lives are improved by a variety of pain care modalities, only one of which is opioids, yet opioids are often necessary. My patients do well because we screen them well, they are personally engaged in their own care, and we develop a partnership of sorts in order maintain regulatory compliance and optimal function. It’s not easy – treating a serious chronic condition rarely is. But it can be rewarding for both the patient and the clinician. Chronic pain patients should be afforded the same dignity and respect as patients with any other chronic condition. If the political environment was such that there were continuous calls to wean everyone off of insulin, I’ll wager that, to the diabetic, the injustice would be more than “perceived.” In this fabricated case, as in the real case of legitimate chronic pain, perception is reality. I agree that ‘perception’ and ‘experience’ are a bit confusing, and I believe they are often interchangeable. How you perceive the world is indeed your experience– this is true for all of us. How we think and what we believe determines how we feel about a situation. We are likely to be wronged or experience injustice in many ways during our lives– in any one case being wronged is a simple fact, so let’s go on the assumption that this is just truth. Regardless of this this truth, the degree to which we remain stuck in our feelings of being wronged in part will determine our ability to move forward from it. It’s a delicate balance. The trick is to honor the fact that a situation is not fair or right, AND to allow ourselves to begin crafting a plan for moving forward so that we are not controlled by it. This is where reclaiming power comes into the picture. Thanks for this excellent response. It’s too bad the ‘cult’ of compassion the promoters of this site seem to be advocating either don’t get it or choose to respond with psychobabble irrelevant to the issue at hand. It’s more than obvious the only responses are to the ones who ‘agree’ with what pap is being advocated here and to no one else. The response to your excellent post by Beth Darnall is incomprehensible nonsense best served up in sociology/psychology 101 and not from anyone with a post-graduate degree. Well put, Dr. Darnall. It’s about so much more than opioids, although the zealots refuse to acknowledge this. When they serve as judge, jury, and executioner, injustice loses its significance. Thanks for being open to the big picture. Thank your for your comments Dr. Schatman. It is exceedingly important to have input and collaboration from behavior health specialists! I’m hopeful that more will chime in here and that perhaps we will have some patients’ perspectives as well. It would also be nice to hear from primary care and pain specialists to get their input on the importance of collaboration in the midst of all the media attention and opioid rhetoric.